have two weeks. You'll shoot me at the end no matter what I do. Code Name Verity is a story about many things – WWII, the role of women during wartime, courage in the face of adversity but above all, it is a story about friendship. And it is utterly, completely, wholly heartbreaking. The relationship between Julia and Maddie is the central focus of this novel and it gives context and purpose to the story our protagonist is telling. These two amazing, brilliant characters and the love they have for each other is profoundly sad (seriously, you will cry an ocean and then want to drown yourself in it) but also a testament to the bonds of friendship and love. I don’t even know how to articulate how perfectly written this entire novel is, especially when it comes to Julia and Maggie – one is an upper-class Lady with an actual title in front of her name; she went abroad to an exclusive boarding school and she lives in a castle. Another is a working-class girl living in a small cottage. Even the way the speak, one with slang with upper to middle-class students and the other with a definitive working-class accent (I think this is arguably more obvious to an English reader, though). It is one of the ironies of wartime that these two girls meet and develop a bond that stands strong despite everything that happens to both of them. Their relationship can be interpreted as either platonic or romantic, it doesn’t really matter because the story can be read either way (although lbr, they’re ‘friends’ in the way Dean and Castiel are ‘friends’). The novel is also heavily about the role of women in wartime. There are male characters in this book but each of them play supporting roles – this is deliberately done because so much of wartime literature is male-dominated. It is very rare to find anything that focuses almost entirely on women during this period of human history, despite women actually playing a pretty important part in the war effort. 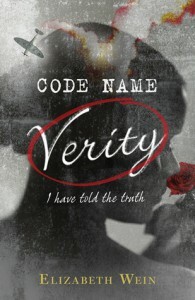 Every female character in Code Name Verity is given a voice and carries significance – from Maddie, one of the very few female pilots and Jewish to boot, to Julia’s mother, who keeps her window open in the hopes that her children, like the ones in the story Peter Pan, will fly back home someday, to the female prisoner who is tortured repeatedly for information and yet never says a word. It’s also kind of amazing that each of these characters has a name; an identity, a statement that all of these characters’ stories matter, that they won’t be forgotten – a tribute to the many people who died or went missing during the war, as well as a powerful comment about oppression – that these women retain their identities even as the Nazis fought to wipe them of it. The novel uses a frame story – a story within a story – and the frame is used to set the stage for the main narrative i.e. Julia, held in a Nazi interrogation facility, is made to write a confession. It is through the confession that we first meet Maddie and are given the story of their friendship. The introductory frame gives the reason for Julia to tell her story but it is also a backdrop for the unreliability of the narrator. 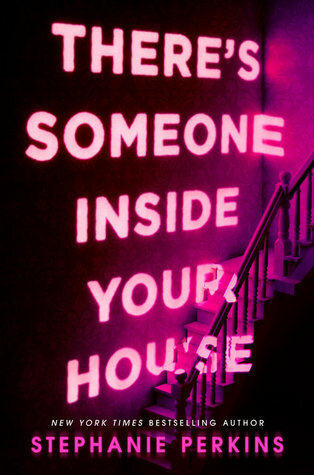 Yeah, this is a book that will mess with your perception and make you read and re-read because it is so amazingly plotted out that the twists will happen and each time you will be caught unaware. The unreliable narrator is incredibly important in understanding the historical context of Code Name Verity but is also necessary in understanding Julia’s character. Trust me when I say to you that this book is the most perfect example of how to write an unreliable narrator. Undoubtedly this novel deserves five stars – I would give it all the stars tbh. It is just stunningly written, funny and heartbreaking and tense. It will stay with you for a long time after you’ve stopped reading, this story about war and courage and the love between two people giving them the strength to keep going, even in the most hopeless and horrifying situations. Okay, I’m going against the grain here, but I just couldn’t finish Code Name, Verity. Even though it has a story I would normally devour. Awww, no 🙁 Thank you for reading and commenting though! I like strong, powerful women and even though WWI/WWII books aren’t my cup of tea, it does sound intriguing. Oh, and that cover? Gorgeous! I wouldn’t think it to be funny based on the cover alone or witty, but I trust you on this. The frame stories are also cool – I actually liked Boccaccio’s Decameron which was my first ever frame story to be read. Speaking of unreliable characters – Mara in M. Hodkin’s trilogy is the most unreliable for me and it drove me insane as well as kept me interested and intrigued. I’ll check out some other reviews for this book in order to decide whether or not to add it to my tbr pile, but well done Amber! What a marvelous review!! Ooh, that book sounds interesting! I shall be looking it up XD Thanks for commenting! Haha, thank you! Those bloody Peter Pan references had me sobbing, it was terrible. You articulated your thoughts on this so well. When I finished, I couldn’t do anything but sit there in amazement. I ended up just listing what I loved, which was all the same things as you. I really loved this book, and I’m going to buy it as soon as I can. That last quote you put in the review still makes me tear up even though I finished this book in December last year. And I don’t know if you know this (I only found it the other day) but there’s going to be a sequel/companion novel called Rose Under Fire! It’s on my to-read list XD I will be getting it as soon as I can! I’m gonna go into this prepared to ship the two BFFs. Yup. Okay, so I am going to have to go to my library and pick this one up. It sounds awesome. I really haven’t gave it a second glance until now. Great review.